Lonzo Ball has looked different this year, ok not that, this and LeBron’s had a lot to do with that. But how? 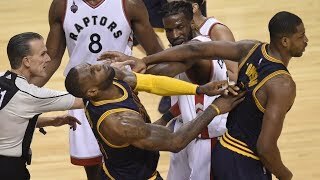 It’s time to break down LeBronzo. 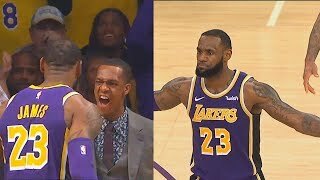 It’s been really interesting to see Lonzo and LeBron play together and to see the development of both so I wanted to break down why Lonzo is playing better and why they work well together. And college finals for me are finally over so now I can give y’all so much more content like these breakdowns and more origin and savage stories. I didn’t upload as much during this week because I didn’t want give y’all bad content but now I can upload more than my normal schedule. I’m supposed to make a joke about Lonzo for likes right now, but he’s been playing decent so I guess don’t hit the like button. And let’s just get into it. At first, Lonzo was being relegated to a spot up shooter and while he was actually somewhat adequate at that, it wasn’t who Lonzo was and it was limiting what he could bring. Lonzo for the first couple of games in the season was shooting 39% from 3 which I think was surprising and to me was not sustainable. If he continued shooting at that rate, he would have to shoot contested shots which I just am unsure if Lonzo has changed his form enough to do that. I broke down his new form a few months ago and the changes he made were small, but meaningful. 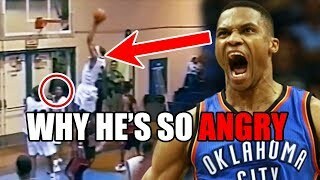 Now we see Lonzo Ball actually dunking the ball, it’s not like we saw that in UCLA… hmm apparently he just lost his ability to dunk when he came to the NBA and recently relearned how to dunk. 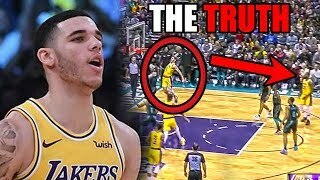 The dunk was not shocking because of what Lonzo could do, it was shocking because it was a contradiction to what Lonzo’s identity had been established to. LeBron dubbed Lonzo the “young king”, giving him compliments and encouragement since arriving onto the Lakers. And having a guy like LeBron being your hype man would probably give you new levels of confidence. After all, LeBron is Lonzo’s idol player. So when LeBron told Lonzo to be more aggressive, we didn’t really see a whole change in him game. This new aggressive Lonzo is spurred by confidence and is much more of a threat than a spot up Lonzo. So when Lonzo dunked that ball, it came as a surprise because of his attitude and the newfound confidence, but the build up was there for a while. I’ve said this about LeBron when he gets passive and this applies to Lonzo as well. 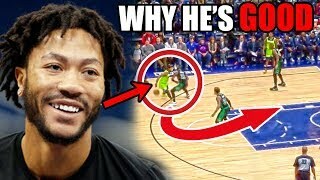 If you look to pass and the defense realizes that, they won’t care about what you’re doing. It makes creating opportunities for your teammates hard. Now if you are looking to score, the defense will converge into you and then you can find the open man with the pass. He still isn’t a new Lonzo.. What the hell Lonzo, you were open. Lonzo is a gifted passer but the UCLA Lonzo creates opportunities. He’s starting to do that again. Even when it leads to this… how is this not a foul, goddamn. When LeBron sets the pick, most people go under leaving Lonzo open for a 3. If that option isn’t there, Lonzo can dish out to LeBron or drive himself to see what opportunities are being created. 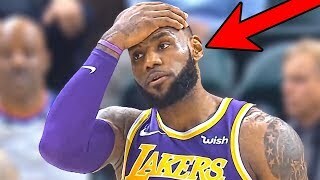 When Lonzo sets the pick, Lonzo can pop out for the 3 if LeBron gets doubled or be a guy who can get quickly swing the ball around immediately after being passed to. While Lonzo’s 3 point percentage looks the same, Lonzo has been making more timely shots and has been overall more dependable especially in the clutch. On an extremely small sample size of half a shot per game in the clutch, he’s shot 57% and 60% from 3. Now about the defense. Yeah that defense has been good. I’ve said this last season in my videos about Lonzo and said that his defense is solid even though that was supposed to be a weakness coming into the NBA. His defense alone has warranted more minutes on the court. 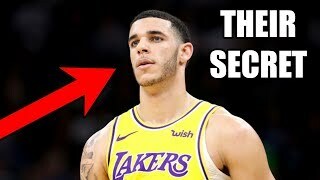 So that’s why Lonzo is playing better. His stats might all be down, but Lonzo has been a much better player and this is the LeBron I’ve wanted to see for the Lakers. 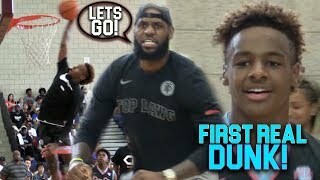 LeBron as a mentor is so valuable and because he is locked into a contract, these young players can have faith in LeBron being with the Lakers and using him as a backbone. LeBron has also learned how to help this team develop and it’s great to see. As a Lakers fan, it’s just great to see the Lakers being exciting and I like seeing Lonzo play with more drive. But what do you think? 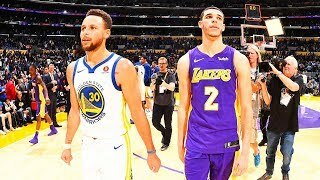 How far can the Lakers go and what do you think about Lonzo?